Starting this Wednesday, I will begin a new class in the auditorium at Bellevue Church of Christ, entitled The “ABCs” of Acts. This class will begin immediately after the opening devotional each week at 6:30pm. When I was a student at Lipscomb University back in the mid 90s, Dr. Gerald Fulks, one of the Finance/Economics professors (and an Elder at Bellevue Church of Christ), taught a class every semester on personal evangelism. During that class, he made the argument that it was essential to have a good recollection of the main ideas of the book of Acts when attempting to teach someone God’s plan of salvation. 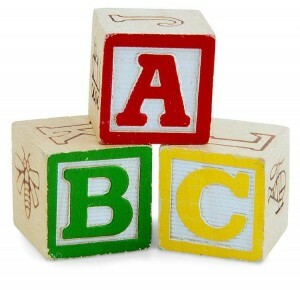 In keeping with this, Dr. Fulks presented the concept of the ABC Outline as a tool for remembering the key points of each chapter. It works by matching the sequence of the alphabet with the sequence of each chapter (i.e. Chapter 1 = A, Chapter 2 = B, and so on). For each chapter, we were encouraged to come up with a keyword or phrase that captures the main idea, and also begins with the designated letter. This has been a powerful tool for me, and is something that I have shared with a number of classes through the years. I’ve always challenged my students to come up with their own keywords, and the link below is to a template for creating your own ABC outline. During this class we will cover a chapter of Acts of Apostles each week and then the following week we will ask for suggestions on keywords or phrases that go along with that chapter. By doing this, each student will be able create their own, customized outline.